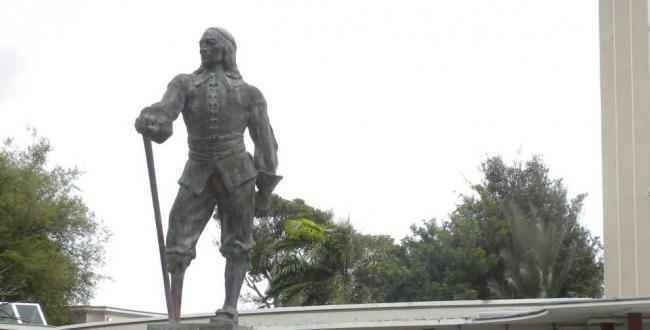 WILLEMSTAD - Where is the statue of Peter Stuyvesant? When the statue was removed from the high school, that bears its name six years ago, many people remained with that question. The Minister of Education, Science, Culture and Sports, Marilyn Alcala-Wallé has now instructed the Archeological Institute (NAAM) to find out what has happened with the statue. The statue was removed by the Pueblo Soberano Party (Sovereign People’s party) through the former Minister of Education and Culture, Rene Rosalia. The problem is that no one within the party, neither within the ministry nor the contractor who executed the job claimed that they do not know where the statue is. The Minister gave NAAM two weeks to answer her request.